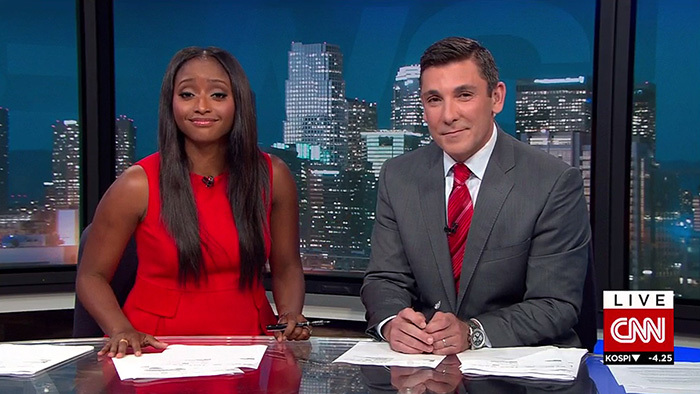 Following the departure of overnight anchor Errol Barnett to CBS News, CNN has made the decision to expand CNN Newsroom Live from Los Angeles, anchored by John Vause and Isha Sesay. The newscast will expand one hour, now airing from midnight to 3am ET, effective this Monday morning, according to sources. Newsroom LA has been on the air since late September, following Vause and Sesay’s move to Los Angeles. Rosemary Church’s slot will be reduced an hour, and will now anchor CNN Newsroom from the CNN Center solo from 3-4am. No word on if, or who, will replace Barnett. CNN Newsroom overnight is earlier presented by Natalie Allen during “Newsroom LA” hours and Amara Walker during Rosemary’s hour. So sad the show didn’t last long … too boring just Trump haters!